Brandy Albury, 36, passed away Wednesday,September 12, 2012 at home. She was born in Avon Park, FL on August 16,1976. Brandy is survived by her husband Sascha, daughter Amber, mother Cheryl, father Edward O'Neil, and sister Tina Bryner. A visitation will be held from 1-2 p.m. on Tuesday, September 18 at Beach Funeral Home, 1689 S. Patrick Drive, Indian Harbor Beach, FL 32937 followed by a service at 2 p.m.
Condolences can be made at www.beachfuneralhome.com where a lifetime web page has been set up in her name and memory. 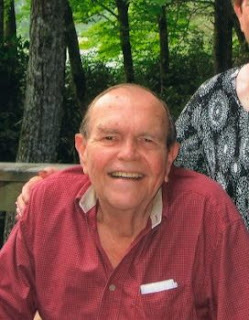 Larry George Carroll, 75, passed away peacefully in Satellite Beach, FL after moving from Miami 19 years ago. He was born in Takoma Park, MD, but spent most of his life in Miami, FL. He attended Shenandoah Elem. And Jr. High. He graduated from Miami Sr. High and the U. of Miami. He worked with his ather Everett G. Carroll for many years at Hill York Air Conditioning and Refrigeration, the business his father founded in Miami. Larry leaves his wife and childhood sweetheart of 55 years, Helen Hannah Carroll, daughters Ginger (Mark) Alexander, Christine Carroll, daughter-in-law Michelle Carroll (his son Michael predeceased him in 1990), seven grandchildren Amanda (Mason) Braddock, Keenan Carroll, Caleb Smith, Rachael (Cody) Pinkert, Nicholas Henry, Katie Henry, William Carroll and great-grandson Austin Henry. He will be buried in Woodlawn Cemetery in Miami. A Celebration of Life will be held at Trinity Presbyterian Church, 638 S. Patrick Drive, Satellite Beach, FL 32937 on Saturday, September 22 at 11:00 a.m. Anyone wishing to share a memory or send the family a message is asked to please visit Larry's guestbook at www.beachfuneralhome.com. Betty is preceded in death by her husband Paul and son Jefferey. She is survived by her son Chris; nieces Bette Cleveland and Susan Purdie; nephew Steven Ferrell; and many great nieces and nephews. The family would like to thank the staff at VITAS hospice for their help during this difficult time. A memorial service will be held at the family's home on Sunday, September 23 at 1 p.m. In lieu of flowers, donations may be made to the hospice center of your choice in Betty's name. Anyone wishing to share a memory or send the family a message is asked to please visit Betty's guestbook at www.beachfuneralhome.com. 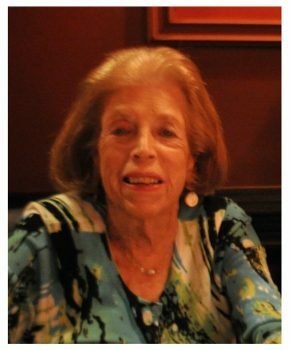 Arlene E. Grumbine, age 84 of York, PA and Melbourne, FL passed away on Wednesday, September 12, 2012 in Melbourne. Beloved Wife, Mother, Grandmother and Friend, she was born on April 13, 1928 in York, PA. She graduated from West York High School and York Hospital School of Nursing. She worked at York Hospital and Rest Haven. Arlene was a thoughtful and loving woman, always thinking of others before herself. She will be greatly missed by all who knew her. She was the daughter of the late Morris and Dorothy Knipple. She was a long time resident of York, PA where she attended Saint Matthew Lutheran Church and was a member of the Christian Friends Sunday School Class. Additionally, she was a member of the Women of the Evangelical Lutheran Church of America and the York Hospital School of Nursing Alumni Association. In 2003, Mrs. Grumbine moved to Tampa where she attended Joyful Servants Lutheran Church and volunteered in the church office. In 2006, she moved to Melbourne and attended Ascension Lutheran Church of Indian Harbour Beach as an associate member. She was predeceased by her husband, Robert in May, 1992 and a brother, Donald Knipple, in October, 2010. She is survived by her daughter, Alicia Macom and son-in-law, William of Melbourne Beach, FL; three grandchildren, William, Channen and Krystal. Memorial Services will be held at Ascension Lutheran Church in Indian Harbour Beach, FL. Ejane Decker Nelson, 91, passed away Thursday, September 13, 2012 at her home in Indialantic, FL. Jane was predeceased by her husband, Howard J Nelson, Jr. and her parents. Jane is survived by her daughter, Joan Flavin and her husband Thomas of Indialantic, FL; her son Dr. Stephen Nelson and his wife Diane of St. Pete, FL; four grandchildren, Kathryn Flavin of Miami, FL; Daniel Flavin of New York, NY; Kyle Nelson of Dallas, TX; and Kelly Nelson of Chicago, IL. "Jane" was born and raised in Grand Rapids, MI, the daughter of George and Effie Jane Decker. She graduated from Milwaukee-Downer College in 1942. Jane and Howard moved to South Bend, IN in the early 50's and raised their family there. They relocated to FL in the early 80's, moving to Indialantic in 1996. Jane was an avid bridge player and made many wonderful friends playing bridge. She also enjoyed working in her yard. Her devoted friend Ibbie was a constant help and joy in her life. Her loving caregiver Courtney truly made her life brighter. Thanks to you both and to all who made her life better. A memorial reception will be held in Jane's honor on Saturday, September 22, from 4-6 in the afternoon at the Eau Gallie Yacht Club. In lieu of flowers, donations may be made to the Humane Society of South Brevard, 2600 Otter Creek Lane, Melbourne, FL 32940. Anyone wishing to share a memory or send the family a message is asked to please visit Jane's guestbook at www.beachfuneralhome.com. Phillip Rouzer, 60, of Indialantic, Florida died Saturday September 15, 2012. 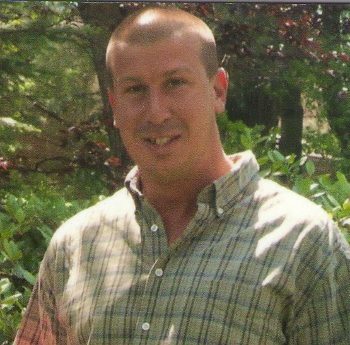 Richard Paul Tarpey, III, 31, died September 18, 2012. He was born on June 27, 1981 in Daytona Beach. Ricky loved the beach, surfing, fishing and swimming. He is survived by his parents, Richard and Jane Tarpey; sister, Melissa (Paul) Osborn; nieces Taylor and Ashlynne; and many aunts, uncles and cousins. First visitation will be Friday, September 21 from 6 - 8 pm at Beach Funeral Home, 1689 S Patrick Drive, Indian Harbour Beach. A second visitation will be held on Saturday, September 22 at Beach Funeral Home from 10-11a.m. with services to begin at 11:00 a.m. Anyone wishing to share a memory or send the family a message is asked to please visit Ricky's guestbook at www.beachfuneralhome.com.